This doll is from the Sam's series of the '90's. 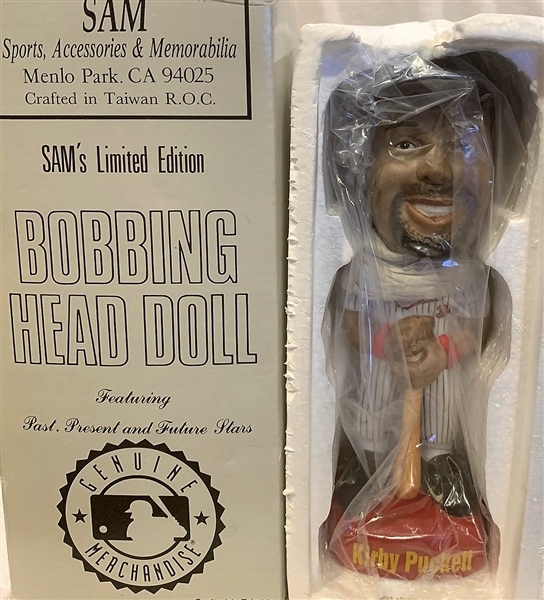 It's of Kirby Puckett. It is mint in its original box and comes with a company COA.